VT Luxe Solid Wrap Scarf with Detachable Flower Pin and "Nothing to Wear"
It’s time for our Spring weekly giveaway, and this week is all about scarves: We’re giving away one gorgeous Solid Wrap Scarf with Detachable Flower Pin from our Spring ’12 VT Luxe Collection for QVC, and our autographed book “Nothing to Wear”. To enter the giveaway, post a photo of your favorite scarf look on the VT Luxe Facebook wall. It can be either a photo of you, or an image that inspires you. We look forward to seeing your scarf pictures… Good luck and remember to tune in to QVC on February 27 at 2AM ET to watch our Spring show! * This sweepstakes runs from 4.00PM ET on February 13, 2012 to 3.59PM ET on February 17, 2012 and is only open to individuals who, at the time of entry, are legal residents of the United States and are 18 years or older. The winner will be selected randomly. 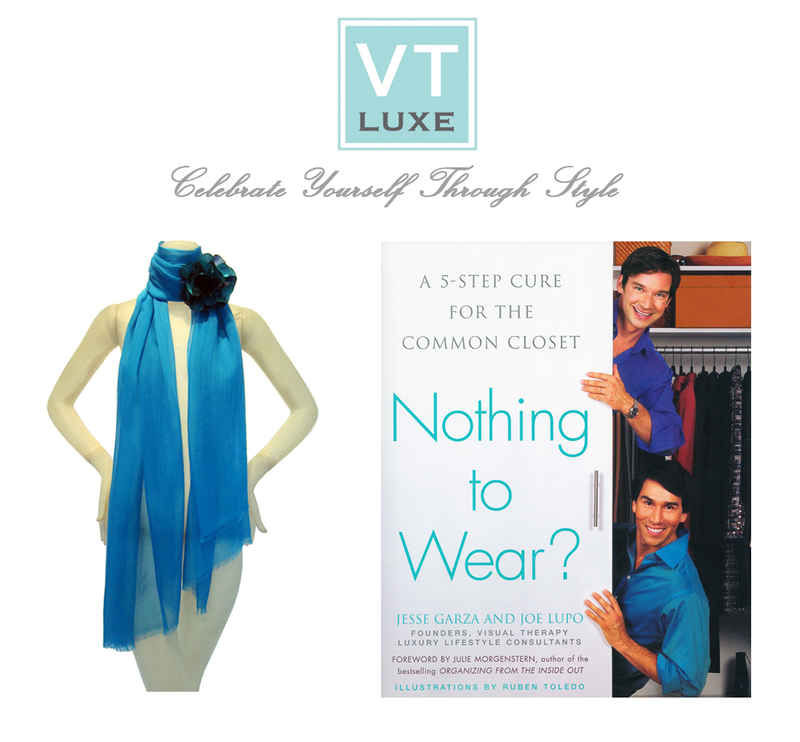 The prize includes a VT Luxe Solid Wrap Scarf with Detachable Flower Pin and “Nothing to Wear” book by Joe Lupo and Jesse Garza. “VT Luxed Up” Giveaway: Accessorize for Spring!